Double vision in one eye (monocular) or both eyes (binocular) can be extremely disconcerting and disruptive. 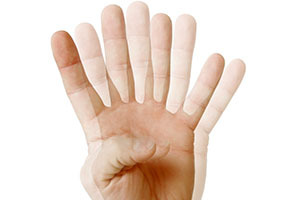 Double vision in one eye is known as monocular double vision. Thus meaning that the perception of seeing double images of a single object continues when the unaffected eye is covered (but you should be able to see normally when the affected eye is covered). Astigmatism: A refractive error characterized by an irregularly shaped cornea. 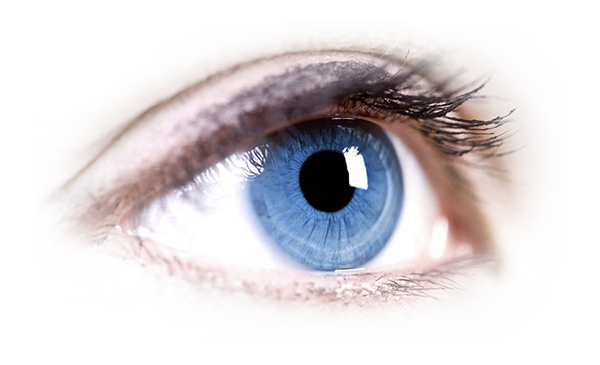 Dry Eye Syndrome: A condition which occurs is when your eye has an inadequate volume of tears. Eye Lens abnormalities: Such as cataracts (cloudy patches over the lens). Retinal abnormalities: Such as macular degeneration. Monocular double vision is rare. Astigmatism and cataracts are the most common causes. Double vision caused by both eyes that fail to properly work together is known as binocular double vision. If you have a binocular double vision, your vision will usually be normal if either eye is covered. If you have a binocular double vision, your eyes will point at slightly different angles, causing them to send different images to your brain. The images from each eye are too different for your brain to create a clear, single image. This results in you seeing double images. A squint (strabismus) means your eyes are pointing at different angles. If you have a squint, your eyes don't look in the same direction because some of the muscles controlling your eyes are either weak, paralysed (unable to move), too strong or are restricted (prevented from moving). Squints are particularly common in young children. Not all squints cause double vision. A squint can recur in someone who had a squint as a child. 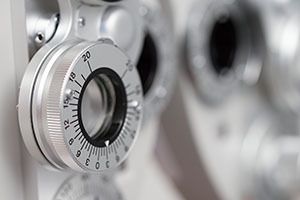 In some cases, treating the squint and realigning your eyes can result in double vision, as previously your brain may have been ignoring the signals from one of your eyes. When your brain ignores the signals from one eye, this is called suppression. A childhood squint recurring is a common cause of double vision in adults. In adults, if double vision develops suddenly and isn't caused by a childhood squint, it may be a sign of another condition affecting the free movement of the eye, or the muscles, nerves, or brain. Thyroid eye disorders affecting the external eye muscles; your thyroid gland is found in your neck and produces the hormone thyroxine. Vascular disorders affecting the blood vessels supplying blood to the brain, or to the nerves controlling the eye muscles (for example, a stroke or a transient ischaemic attack). Diabetes can damage the blood vessels supplying blood to the nerves of the eye muscles. Myasthenia gravis causes the body's muscles to become weak, including the eye muscles. Multiple sclerosis affects the central nervous system, including the nerves of the eye muscles. A brain aneurysm: A bulge in a blood vessel caused by a weakness in the blood vessel wall, which can press on a nerve of the eye muscle. A brain tumour or cancer behind the eye that prevents free movement or damages the nerves to the eye muscles. Head injury damaging the brain or the nerves that move the eye muscles, or damages the eye socket and restricts the movement of the eye muscles. Anisocoria is a condition where the pupil of one eye differs in size from the pupil of the other. Your pupil is the black circle in the centre of your eye. The pupils of your eyes are usually the same size. Anisocoria has several causes and it is only found in a small number of people. You can be born with this condition, or it can develop over time. In some cases, there is no cause for the difference in size. In addition, some people with anisocoria experience a difference in pupil size only temporarily and then the size returns to normal without treatment. A difference in pupil size might be a result of a medical condition or disease or the side effect of a drug. A brain tumour or abscess. An aneurysm or bleeding into the skull. You will normally notice an uneven pupil size yourself when you look in a mirror. Your doctor may also notice the condition during an eye examination. You should seek medical care if the size of your pupil suddenly changes. Always contact an ophthalmologist right away if your pupils change in size following a massive headache or head injury. During your appointment, your doctor will examine your eyes and take your vital signs. You should tell the ophthalmologist about any symptoms you have been experiencing along with the anisocoria. Uneven pupils do not usually cause symptoms on their own. However, the underlying medical condition or emergency may cause other symptoms, in addition to an uneven pupil. Be sure to mention if you recently had a headache, a change in your vision, a fever, or a stiff neck. Vision loss, double vision or blurred vision. Several tests can be done to find a diagnosis, depending on what the Ophthalmologist suspects the cause to be. MRI (magnetic resonance imaging) scan. Treatment options for anisocoria can vary depending on what caused your pupils to become uneven in size. If an infection is to blame, you may be given antibiotics or antiviral eye drops. Abnormal growths (such as a brain tumour or a brain abscess) may be removed through surgery. If surgery is not an option, your doctor may use medical treatments to shrink the growth. Some cases of uneven pupil size are temporary and do not need to be treated. If you had a head injury before your pupils changed size, you should seek emergency attention immediately. Your treatment options will be discussed with doctors at the hospital. Blepharospasm refers to any abnormal blinking or eyelid tic or twitch resulting from any cause, ranging from dry eyes to Tourette's syndrome to tardive dyskinesia. The blepharospasm referred to here is officially called benign essential blepharospasm (BEB) to distinguish it from the less serious secondary blinking disorders. "Benign" indicates the condition is not life-threatening, and "essential" is a medical term meaning "of unknown cause". It is both a cranial and a focal dystonia. Cranial refers to the head and focal indicates confinement to one part. The word dystonia describes abnormal involuntary sustained muscle contractions and spasms. Patients with blepharospasm have normal eyes. The visual disturbance is due solely to the forced closure of the eyelids. Ptosis: Drooping of the eyelids. Blepharitis - An inflammatory condition of the lids due to infection or allergies. Hemifacial spasm: A non-dystonic condition involving various muscles on one side of the face, often including the eyelid, and caused by irritation of the facial nerve. The muscle contractions are more rapid and transient than those of blepharospasm, and the condition is always confined to one side. Blepharospasm usually begins gradually with excessive blinking and/or eye irritation. In the early stages, it may only occur with specific precipitating stressors, such as bright lights, fatigue, and emotional tension. As the condition progresses, it occurs frequently during the day. The spasms disappear in sleep, and some people find that after a good night's sleep, the spasms don't appear for several hours after waking. Concentrating on a specific task may reduce the frequency of the spasms. 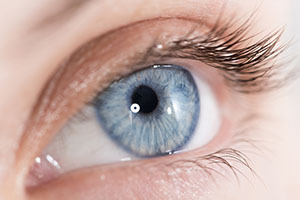 As the condition progresses, the spasms may intensify so that when they occur, the patient is functionally blind; the eyelids may remain forcefully closed for several hours at a time. There is no cure for blepharospasm. It is generally accepted that botulinum neurotoxin injections are the most effective treatment available for the reduction of symptoms, but for some patients the relief from injections is inadequate. For those patients, oral medications, ptosis crutches and surgery are options that help patients in some circumstances. Nystagmus most commonly causes the eyes to look involuntarily from side to side in a rapid, swinging motion. However, some nystagmuses cause the eyes to jerk sideways or up and down. Nystagmus is usually infantile, meaning people have it from a very early age. It occurs in one child out of every several thousand. All forms of nystagmus are involuntary, meaning people with the condition cannot control their eyes. Children with nystagmus may need extra help in learning to adapt to schoolwork and social situations. Nystagmus improves slightly as a person reaches adulthood, but it worsens with tiredness and stress. Having nystagmus affects both vision and self-concept. 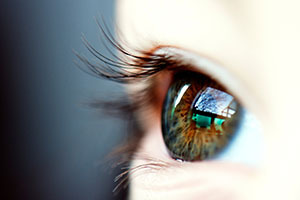 Most people with nystagmus have some sort of vision limitations because the eyes continually sweep over what they are viewing, making it impossible to obtain a clear image. Some people with nystagmus have so many vision problems that they can be considered legally blind. If you have nystagmus, not only is your appearance affected, but you literally see in a way that is different from people who don't have the condition. Your eyes are in constant motion. To see better, you may need to turn your head and lock your eyes into what's called the “null point”. This is a certain head angle that makes the eyes move the least, stabilizing the image for better vision. Manifest-latent nystagmus: Perpetually present nystagmus that worsens when one eye is covered. Acquired nystagmus: Caused by a disease (multiple sclerosis, brain tumour, diabetic neuropathy), an accident (head injury), or a neurological problem (side effect of a medication). Hyperventilation, a flashing light in front of one eye, nicotine and even vibrations have been known to cause nystagmus in rare cases. Congenital nystagmus is present at birth. With this condition, your eyes move together as they oscillate (swing like a pendulum). As mentioned above, most people with nystagmus are born with the condition or develop it early in life. Unless induced by trauma or disease, nystagmus is almost always caused by neurological problems. Vestibular (inner ear related): People with inner ear problems can develop something called "jerk nystagmus". The eyes drift slowly in one direction and then jerk back in the other direction. This is because of the motion of the eyes, people with this condition can develop nausea and vertigo. This type of nystagmus, usually temporary, also can occur in people with Meniere's disease (inner ear disorder) or when the water settles into one ear. Taking a decongestant sometimes can clear up this type of nystagmus. Some acquired nystagmuses can be treated with medications or surgeries. Medications such as Botox or Baclofen can reduce some nystagmic movements, although results are usually temporary. 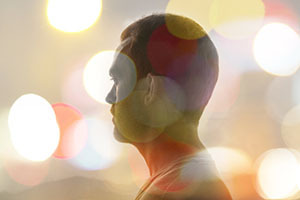 Some people with nystagmus benefit from biofeedback training. Surgery usually reduces the null positions, lessening head tilt and improving cosmetic appearance. If you have nystagmus, make sure you undergo regular eye exams so you can be monitored for both health and vision issues. 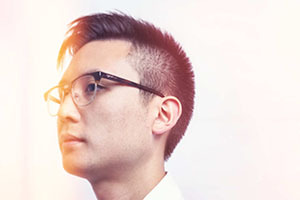 Both eyeglasses and contact lenses can help people with nystagmus see better.